Born in Flin Flon, George Konik captained his hometown Bombers to a Manitoba juvenile title and was named the Saskatchewan Junior Hockey League's most valuable player for the 1956-57 season when Flin Flon went on to win the Canadian junior championship. Choosing education over pro hockey with the New York Rangers organization, he earned an engineering degree at the University of Denver while helping the Pioneers win NCAA titles in 1960 and 1961. In 2001, Konik was selected as one of the top 50 players in NCAA tournament history. When the US National team won the World B championship in 1970, he was named top defenseman in the tournament. The next year he served as captain when the US team finished sixth in the World A championship. 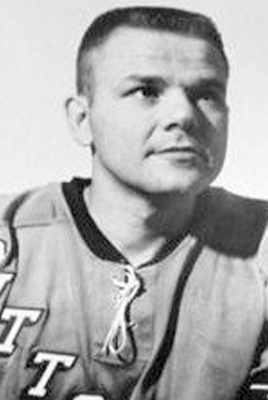 His intermittent pro career included playing in the NHL in 1967-68 with the Pittsburgh Penguins and ended in 1972-73 with the WHA Minnesota Fighting Saints.